House Plans by Hope McGrady - 2012 Int. Residential Code Foundation Bond Beam Pictured Below: Counties in a seismic zone will require a bond beam at the top of the foundation wall. ANSI Approves Next Generationof National Green Building Standard Notice ! As of June 2015 : If you build a building or addition WITHOUT a building permit in Colleton County, the Building Dept. is now requireing that the building & plans be certified by a local engineer. 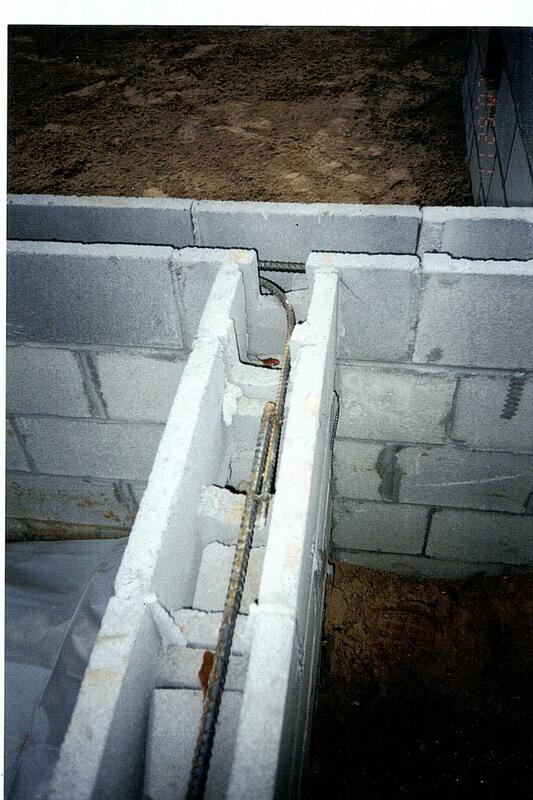 Counties in a seismic zone will require a bond beam at the top of the foundation wall. Notice ! As of June 2015 : If you build a building or addition WITHOUT a building permit in Colleton County, the Building Dept. is now requireing that the building & plans be certified by a local engineer. South Carolina has adopted the International Residential Code for One & Two Family Dwellings. About every 3 years the code is updated. Each state goes through an adoption process that could take a while. Then each county has to adopt it. SC adopted the 2015 IRC on July 1, 2016. Most counties in the state will also adopt the code on that date. backs from the property lines. If you live in town you may have access to city sewer. -- Contractor information & estimate for work being done. Do I have to have a licensed contractor sign for my permit? No. Colleton County does not require a contractor to apply for a building permit for residential construction. But, its a good idea. Some counties do require a contractor such as Charleston County. This can easily be checked by calling the local building dept. SC is broken into different earthquake zones. The SC LLR website has a map that breaks this down for each county. Will My Plans Need an Engineer? Most counties do not require an engineer to certify the plans. Some sections of SC will require an engineer's certification because of the location. For example: areas on the beach will require an engineer because of the hurricane threat. If you are building in an area that will require an engineer, I have an engineer that I've worked with for years that will certify my plans for an additional fee. It's very easy to check this with the local building dept. If I'm required to have an engineer certify my plans, how much does that cost? It depends on what you are building & how large it is. A typical house of 2,000 square feet or less runs about $750 to $900. Commercial work varies on each job. Before I accept a job I will get an estimate from my engineer, so you know how much the engineers fee will be. When are you required to get a building permit?